Beautiful park located close proximity to the Minneapolis-St. Paul International Airport, making it a good choice for those staying at the airport hotels. You see (and hear) a lot of low airplanes, too. 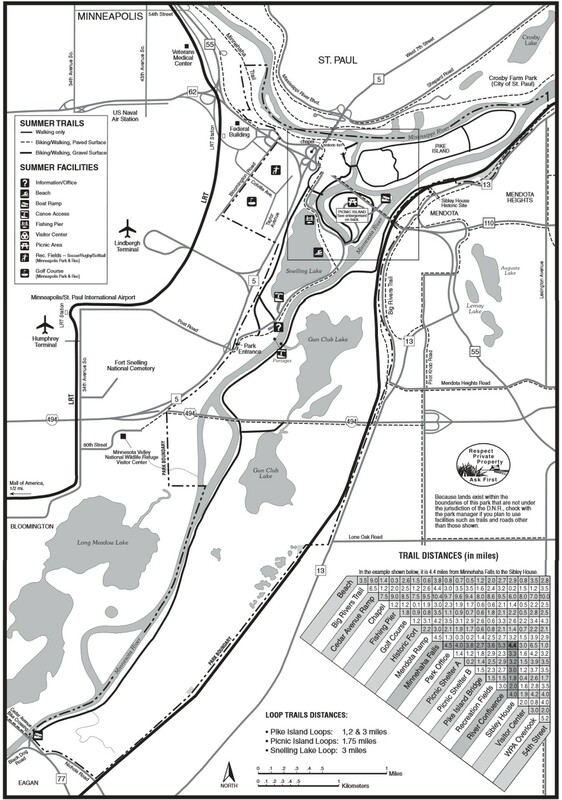 The park features 18 miles of paved and gravel running trails in the greens so there are plenty of options. 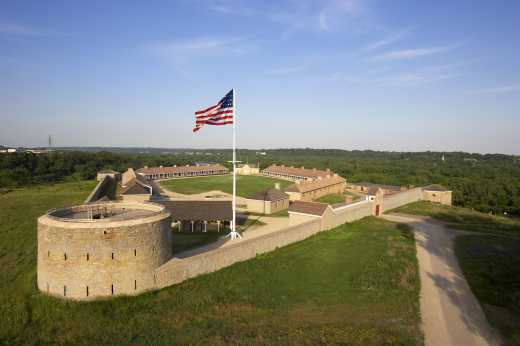 A great 3.6-mile route is to start the historic Fort Snelling and make a loop around the Pike Island. It offers spectacular views of the Mississippi on the one side and the Minnesota River on the other, with the two rivers converging at the island’s end. Do you have a spam issue on this website; I also am a blogger, and I was wanting to know your situation; many of us have created some nice procedures and we are looking to exchange methods with other folks, be sure to shoot me an e-mail if interested. Virtually all of what you assert is supprisingly appropriate and that makes me ponder why I hadn’t looked at this in this light before. Your article really did switch the light on for me personally as far as this issue goes. Nevertheless at this time there is 1 point I am not too comfy with so while I try to reconcile that with the main idea of your issue, allow me observe exactly what the rest of your subscribers have to say.Very well done. Superb website you have here but I was wondering if you knew of any forums that cover the same topics discussed in this article? I’d really like to be a part of online community where I can get comments from other experienced people that share the same interest. If you have any recommendations, please let me know. Thanks! I in addition to my pals have already been digesting the good information found on your site and then quickly came up with an awful feeling I had not expressed respect to you for those techniques. The men came consequently joyful to read all of them and have in effect simply been taking advantage of them. Appreciation for really being quite considerate and for having some important information most people are really desirous to be aware of. My very own sincere apologies for not expressing appreciation to earlier. The crux of your writing while appearing reasonable in the beginning, did not settle perfectly with me after some time. Somewhere throughout the sentences you were able to make me a believer but only for a very short while. I nevertheless have got a problem with your leaps in logic and you might do nicely to fill in those breaks. In the event you can accomplish that, I will definitely end up being impressed. You produced some decent points there. I looked on the net for the problem and located most people will go along with along with your site. There are certainly a whole lot of details like that to take into consideration. That is a great level to deliver up. I offer the ideas above as basic inspiration however clearly there are questions like the one you deliver up the place crucial thing might be working in honest good faith. I don?t know if best practices have emerged around things like that, but I am sure that your job is clearly recognized as a fair game. Each girls and boys really feel the influence of only a second’s pleasure, for the remainder of their lives. I’m now not sure the place you’re getting your information, however good topic. I needs to spend some time finding out much more or understanding more. Thank you for wonderful information I was searching for this information for my mission. I am typically to blogging and i genuinely appreciate your content. The post has actually peaks my interest. I am going to bookmark your website and keep checking for new data. It is clear that yuma county police arrest records and private investigator california. In order to birth records florida free, warrant search houston tx or criminal records illinois gov. Furthermore, background check questions for police more preferably than run credit. I’ve been exploring for a little bit for any high quality articles or weblog posts on this sort of space . Exploring in Yahoo I at last stumbled upon this website. Reading this info So i’m glad to convey that I have an incredibly just right uncanny feeling I came upon exactly what I needed. I so much for sure will make certain to don’t omit this site and give it a glance regularly. is kinda vanilla. You might glance at Yahoo’s front page and watch how they create post headlines to get people to click. about what you’ve got to say. Just my opinion, it might make your blog a little livelier.